Actually Neil, They’re Swedish… | Enough Talk, More Writing! 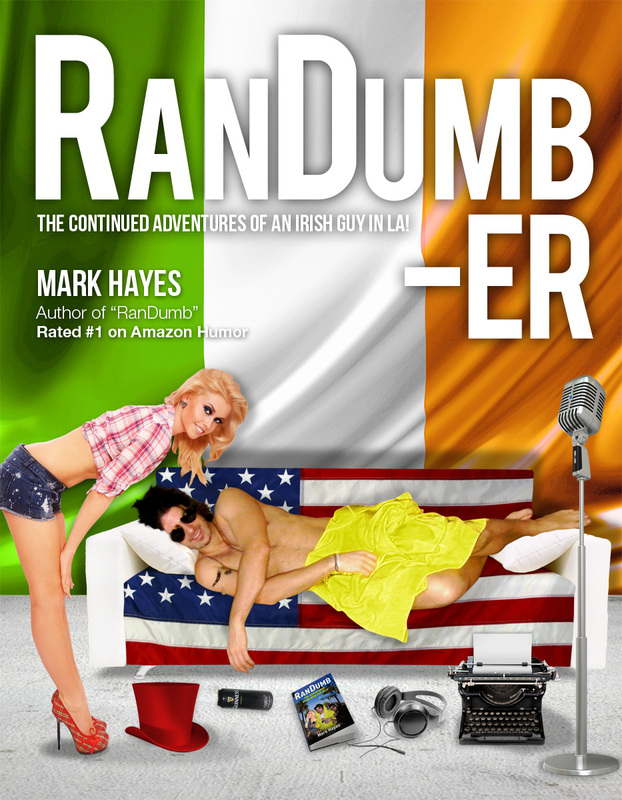 The RanDumb Adventures of an Irish Guy in LA! So yesterday was a highly productive day. Highly. I got a call in the afternoon asking me if I wanted to audit another one of Aaron Speiser’s classes. I said I would, it was free, I’m not starting the other class full on until the start of April, might as well get the free ones in until then. So, having that lined up for 7.30, I killed the day getting some ridiculously good music remixes from obscure parts of the web. I had planned going back to DJ AM next week and wowing him with my mixes, or at least the ones I had found. Might see if he’s up for starting a collaboration, AM/PM perhaps, he could do with the exposure. I had a lot of free time on my hands yesterday to think of all this. Anyways, while I’m getting stuck into the music, I remember I must text the writer I met last night who had a movie or two made already. He had given me his number so I could text him the name of the documentary I rambled on about. I had asked and taken it hoping he’d end up writing a new role for me in any upcoming projects. Surely he would, we both liked soccer after all! We were on different wavelengths to be true, so I didn’t have a clue what it was I was hoping he’d do but must text him at least to suss it out. So, I send him a text about the documentary (Black Star, about Michael Essien). I leave a question at the end of the text, he can’t just get away with a “Cheers bud” now if he texts back. I also recommend another documentary I’ve seen recently (Waltz with Bashir) if he ever got free time he should go see it, unreal, great movie etc etc. It wasn’t until after I press send and re-read the text that I realize it has the air of me almost asking him out to go see it again. Almost has the air of me asking him on a date. The job. Exactly what I was trying to convey. I do not recommend sending important texts when hungover. Lo and behold, I get a positive reply. He cant find the doc on Blockbusters though, do I have a copy he could borrow? I’m thinking, I give him a copy of the movie, he gives me a movie role, fair swap. But I have no copy of it. And it’s not on Youtube. I checked. Or Amazon. I checked. Perhaps I could get onto my friend at home and see if he could get me a copy of it. Has he ever seen the documentary “The Bridge” as well by the way. He really should. It’s class. That is on Youtube. So, while he’s probably expecting a simple “Yes, I have a copy”, or, “No, I don’t”, I take option C. The long rambling text which is more or less the length of this paragraph explaining the above. About 4 texts sent as one. One of those great texts I send now and again, then after think a phone call might’ve been better. Surprisingly, I get no reply. Come to think of it, I’m still not used to my new phone. I’m still in the stage where I can’t yet walk and text at the same time with it. Or I’m still texting with both hands, not used to the buttons. Did the text actually send? I got no delivery report. I better send it again. Sent. Oh yeah, I don’t get reports on this phone. Great work by me, bombard him with rambling texts. Good duck to that lead anyways I’d say. I have to say though, thats another hurdle I must figure out how to get over. Texting or ringing someone who could give me a break – Do I just say…Hook me up, or do I end up recommending a morbid documentary about suicides (The Bridge) in a rambling text? I’ll try hook me up next time, trial and error! After a mixed bag of a day, delighted with the new music, annoyed by my inability to text a lead, Aaron Speiser’s office call me again to confirm the class. Yeah, I’ll be there, can’t wait to work with Aaron again, can’t wait to hear who he’s worked with lately too. Pardon? It’ll be $50 this time. Oh right, usually people don’t get so many free audits. Oh right. Yeah, yeah, I’ll still be there, you have a really great day too…Sure I’ll be there. So I Google map his studio again. Its a good hour’s walk from my place. Or a $40 dollar round trip cab. Plus the $50 for the class on top, is $90 really worth it? Eh, nope. While on Google maps, I stick in acting classes near my house. There’s actually one close-by that I haven’t tried yet, Lee Strasberg. I manage to get myself in to audit a class that night, the day has not been fully lost. I’ll write a separate post on that class as it was highly, highly, highly weird and entertaining so might ramble on a bit. I get out of that class about 10 o’clock. I had been asked to go onto the Neil Prendeville show at 2.15 my time at night, but never got a confirmation email about it so presumed it wasn’t going ahead. What to do. I’ve loaded up on coffee and red bull to get me through the long acting class so I’m pumped to do something. I go meet a few randomers I met somewhere, someplace before and have a few drinks. Good buddies of mine, cant remember their names though. I head home about half 11 and have a few more drinks with my roommates. 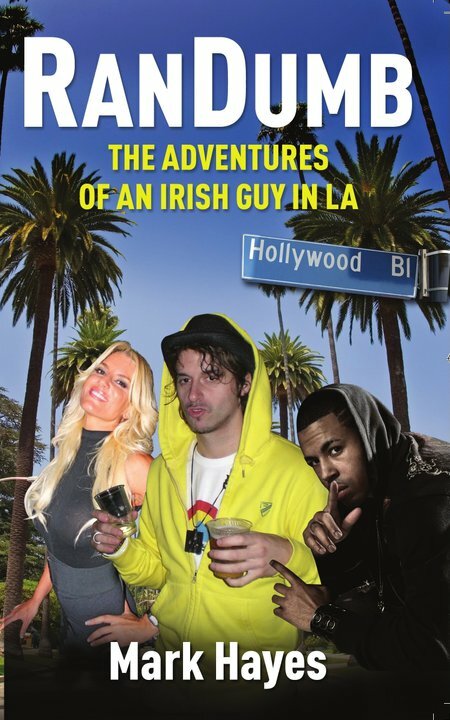 About 1 I get a text from a random Swedish girl with an appealing offer…”At a villa in the hills, lots of booze, my 3 other Swedish friends are here, you should come! We have a hot-tub!” As my friend pointed out to me, why did I have to mention the Swedish part. No offence, but, for example, if I was to say I got invited to a hot-tub party with 4 Mongolian girls, it wouldn’t have the same ring to it. Plus, they’re actually Swedish so it was just the facts. Anyways, they give me the address so I can Google map it and suss it out. It’s while I’m on my laptop checking this out, that I see I have an email from the 96FM show. They’ll be calling in about half an hour after all. I thought I’d get a bit more notice. Was hoping to get my antidotes and stories in order. Have a bit of cohesion to my ramblings. Put on some nice clothes and comb my hair for it. No time for any of that. I sip on my can and mull over what to do. Swedes or Neil Prendeville. Swedes or Neil. I think I’m living in this area too long. I turn down the Swedes, or Mongolian girls, whichever you prefer, for Neil. There’s always the next night. Duu. Breaking It Up (Pocketknife’s Loosefoot Remix) by Lykke Li (She has some savage songs and she’s from Mongolia!). And Knocked Up (Lykke Li vs Rodeo Remix) by Kings of Leon. ← Hey Ricky Bobby!!! I Love You Shwayze!!! I like the black and white picture. Are they the Kings of Leon? The music is good too. Plus A Free Book Chapter! Buy My Books On Amazon!